Welcome to Pink Hibiscus Breast Health Specialists, the first and only Specialist Breast Centre in Trinidad & Tobago and the Caribbean. We combine specialist medical expertise, best-in-class technology and one stop convenience to care for all aspects of your breast concerns. Pink Hibiscus Breast Health Specialists is committed to providing the highest level of breast care through specialists breast health services utilising the most advanced technologies and specialist partners/expertise, all under one roof. 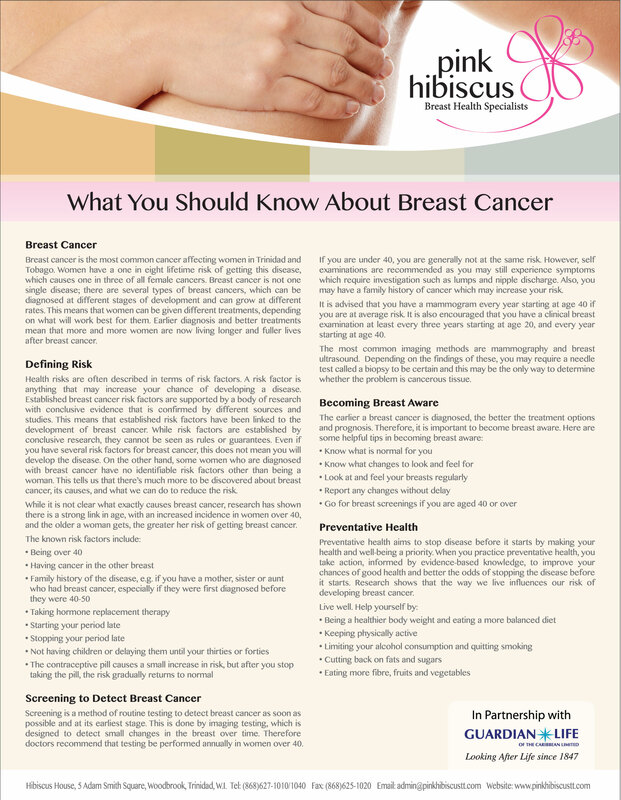 It is our aim to increase the awareness and early detection of breast cancer in our women.